Dr. Garcia has received special training in the Connecticut Combined Hand Surgery Fellowship, along with Board Certification by the American Board of Plastic Surgery. This allows him to offer skilled assessments and surgical options to improve functionality for a variety of hand, wrist and elbow conditions, as well as plastic surgery options to improve appearance. At some point in their lives, many people will be touched by some form of Arthritis. This debilitating condition is caused by inflammation of the joints, causing stiffness and pain usually described as aching that worsens with age. Even if you have been affected by this painful condition, it does not have to control your life. When you make your appointment today for a consultation with experienced hand surgeon Dr. Juan Garcia, he will personally examine you. The two of you will discuss your choices for top-level treatment and reconstructive surgery to improve your range of motion and significantly ease your discomfort. Osteoarthritis – the normal wear and tear on your joints, and Rheumatoid Arthritis – an autoimmune disorder that can lead to damage and destruction of the joints, are the two most common types of arthritis. Both can severely affect the hands and wrists. Arthritis can also be caused by uric crystals, infections, or other diseases. Dr. Garcia has the experience in hand and wrist surgery to help patients improve their quality of life. At Garcia Plastic & Hand Surgery, our goal is to help you manage your pain and discomfort. Dr. Garcia will provide you with a personal assessment and answer all of your questions to get you on your way to feeling better. Learn more about the causes, symptoms and treatment options for Arthritis. 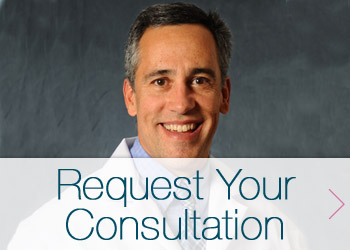 For more information on diagnosis and treatment for Arthritis, request a consultation with Dr. Garcia by filling out the form below or call our office at (518) 793-0475 today.